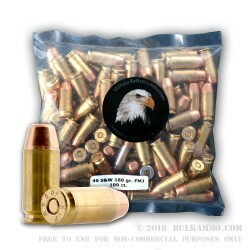 Military Ballistics Industries is a bulk producer of remanufactured ammunition that supplies military, police and American shooters with quality, reloaded ammunition. 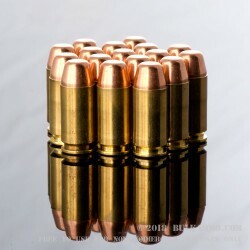 Military Ballistics Industries is well known for using only the highest quality components in its remanufacturing process. 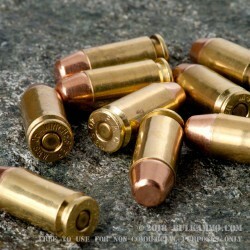 MBI uses inspected used brass cases, CCI or Winchester primers, and Hornady or Lake City bullets. MBI uses the latest technology during the remanufacturing process to ensure you have the highest quality product on the market. 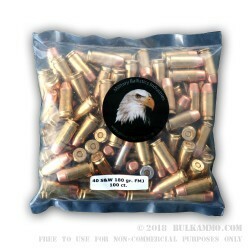 This bulk .40 S&W FMJ is specifically built for practice, training or plinking. 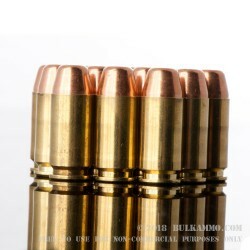 These rounds feature a brass case, boxer primer and are of course, reloadable. 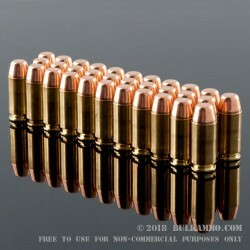 A: Yes, this ammunition is loaded using once-fired brass.